iWALKFree was formed in 1999 with the mission of bringing hands free / pain free mobility to the world. 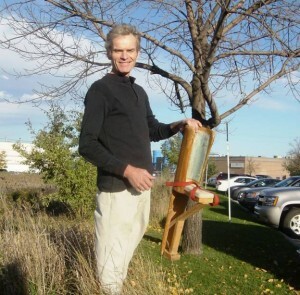 Lance, a fifth generation farmer from Ontario, Canada, had no idea he was about to revolutionize the world of crutches. After sustaining a broken foot he was relegated to crutches and unable to go about his day-to-day activities. For Lance, crutches simply were not good enough. and he spoke of with disdain; “Crutches are tremendously impractical, uncomfortable, and ridiculous.” After researching the market, he was amazed to find that there wasn’t a better alternative to conventional crutches. The inspiration to create a better option to medical crutches stuck. Lance, also an accomplished carpenter, took to his workshop and constructed the first iWALKFree prototype out of wood in less than an hour. The wooden hands-free crutch gave him full use of his arms and hands, and worked so well that it allowed him to remain active and independent during his rehabilitation. He was able to resume normal activity immediately. Lance had created the first practical way to walk without crutches. Lance developed a revolutionary crutch that would meet the mobility needs of people with lower leg injuries, yet keep their hands free. Due to the freedom from crutches his new device represented, he named it the iWALKFree. 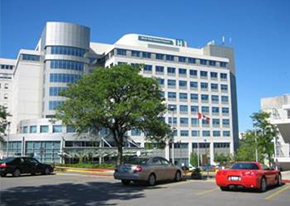 Lance didn’t originally set out to start an orthopedic device company, but the device was noticed by the good doctors and orthopaedic technologists at Toronto’s Sunnybrook Health Science Center – one of the leading orthopaedic research facilities in North America. They were thrilled with the possibilities that the iWALK crutch substitute created. Clinical trials were immediately started and patent protection obtained. The design was refined and production began shortly thereafter. Early production prototype work of the crutch was refined with the assistance of a variety of professional advisors, and the iWALKFree crutch received a Medical Device Establishment License from Health Canada’s Therapeutic Products Programme. In 1999 the Canadian Minister of Health approved the iWALKFree cruch as a Class 1 medical device. The newly designed crutch was made of extruded aluminum and engineered plastics. iWALKFree was launched to Canadian consumers in June of 2000. Shortly thereafter, iWALKFree was registered as a medical device with the United States FDA and received CEN certification in Europe. For the next decade, iWALKFree set the standard for hands free mobility. The iWALKFree has been the subject of numerous clinical and university studies and won numerous awards, including the prestigious Manning Innovation Award, “Best New Product” at Medtrade (North America’s largest medical trade show). It has been featured in the popular media, including newspaper, television, radio and internet articles, CBC Television, ABC Television (U.S.), Global Television, and CTV to name just a few. Today, thousands of enthusiastic users have proven that there is a better way. Once again, from a simple idea and an unwillingness to accept the status quo, an industry was changed forever. 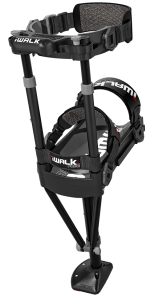 In September 2013, iWALKFree changed the game once more and launched the next generation of hands free crutches – the iWALK2.0. The iWALK2.0 was carefully engineered to be easier to learn, more comfortable and efficient at an even lower price. It includes a host of features including a lateral component on the foot so that this “peg leg” works under the same principles as an actual foot! Everything we’ve learned about hands free crutches (and we are the industry leader) has been incorporated into this break-through evolution. This revolutionary new product was previewed to the medical community and won rave reviews. It swept the awards not once, but twice at North America’s largest medical device trade show. Orthopedics, Podiatrists, Physical Therapists, Prosthetists can all agree that the iWALK2.0 is a huge step forward (pun intended) in the world of lower leg rehabilitation.